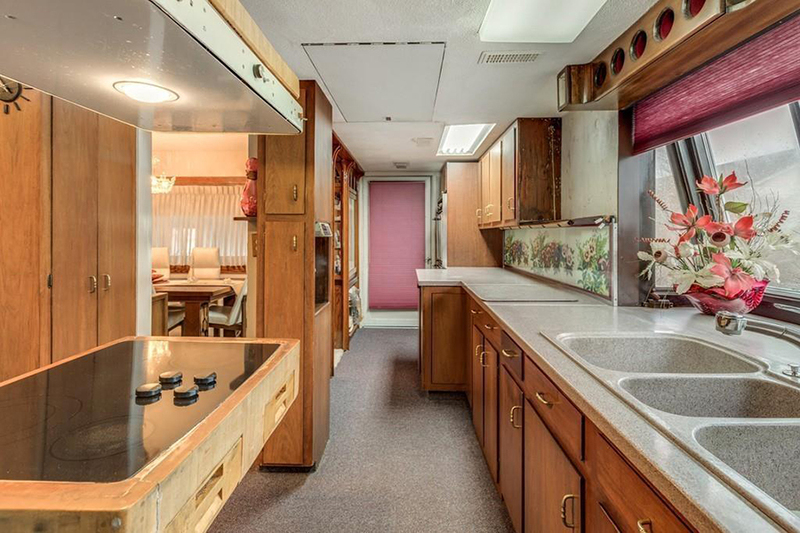 Every now and then, a time capsule finds its way to the market in Greater Boston. 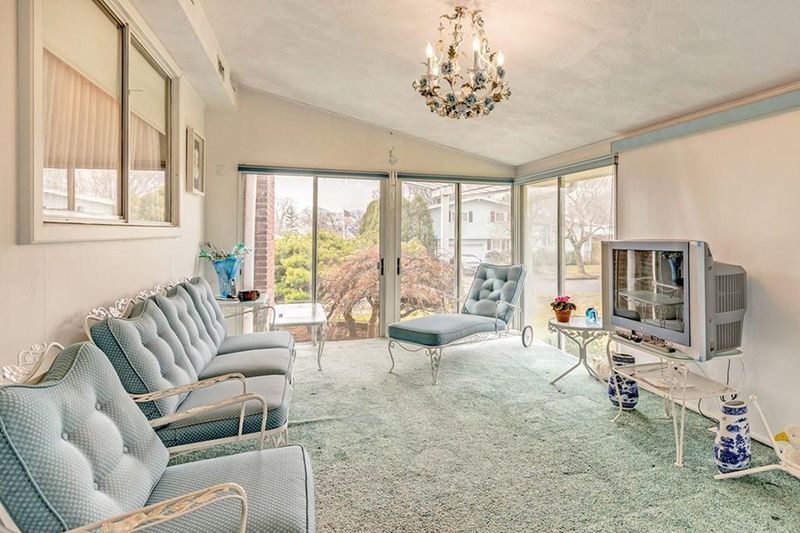 Sometime’s it’s a psychedelic split-level in Framingham, and other times it’s a ’70s/’80s mashup, like this house for sale in Swampscott. 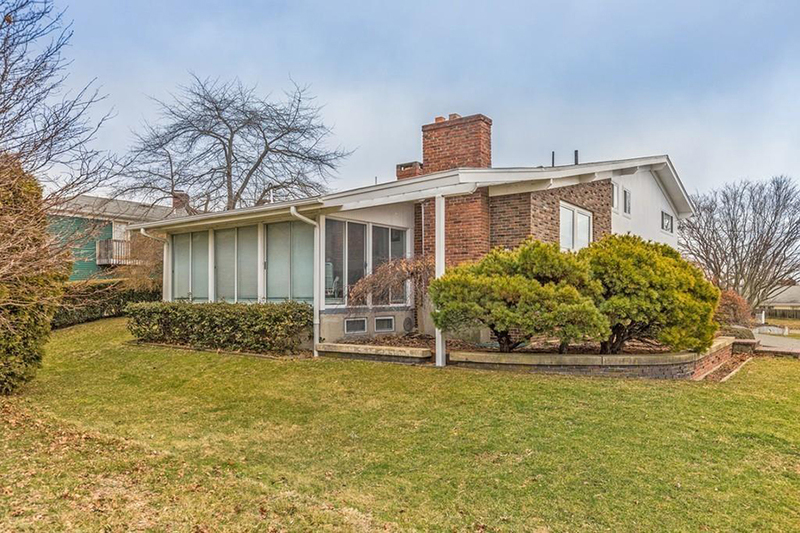 The four-bedroom home was built in 1960, and fortunately, has not been renovated much since then. 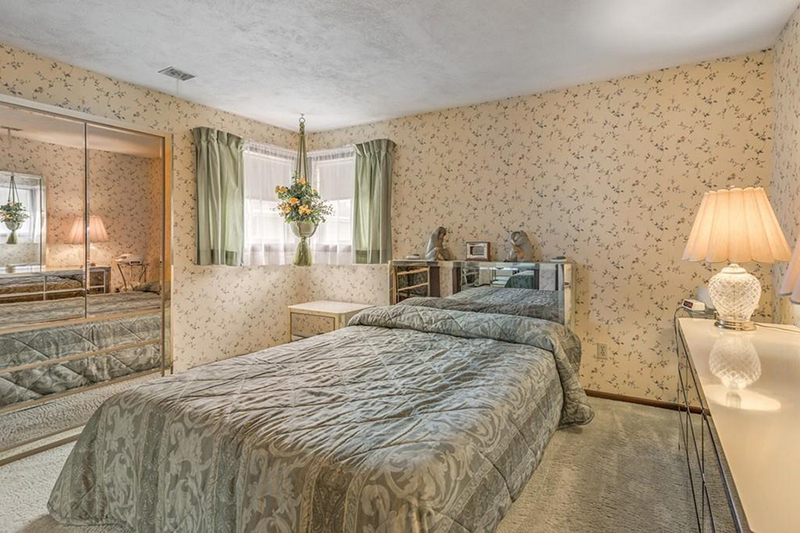 It’s decked out in wood paneling, floral wallpaper, and pastel-colored carpeting galore, and exhibits plenty one-of-a-kind features of yesteryear. 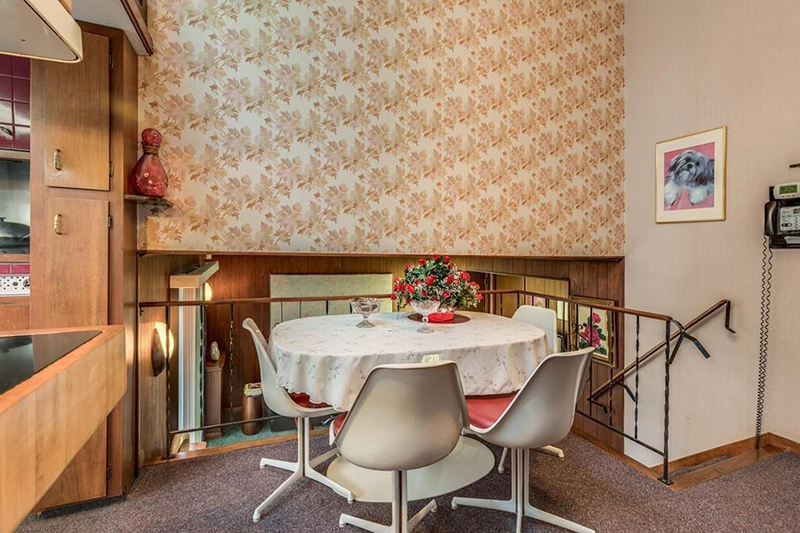 Below, take a look at all the reasons why this ridiculously retro house is such a gem—and see if you can keep count of all of the framed Shih Tzu portraits adorning the walls. 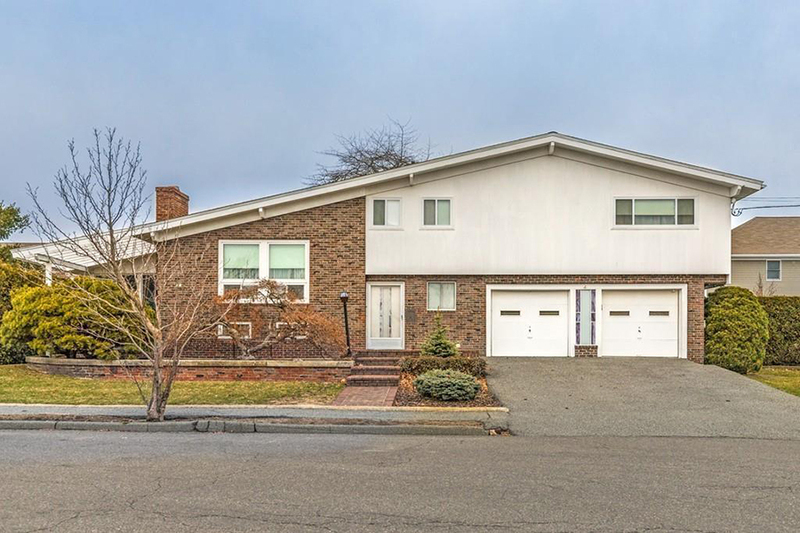 The house’s curb appeal definitely flaunts some ’60s flair. 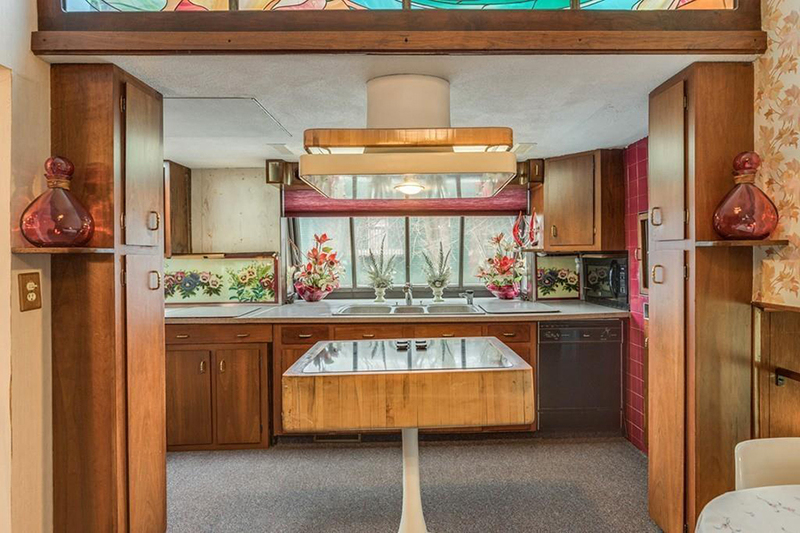 Inside, step up into the carpeted kitchen, where there’s a lot to look at—including a trapezoidal stained glass panel. This open wall is what pastel wallpaper was created for. Note the length of the cord on that wall-mounted phone. The house has multiple small shelves tucked into its corners—they’re just large enough to hold one vase. This standalone cooktop would be hard to find in stores nowadays, as would that floral backsplash. 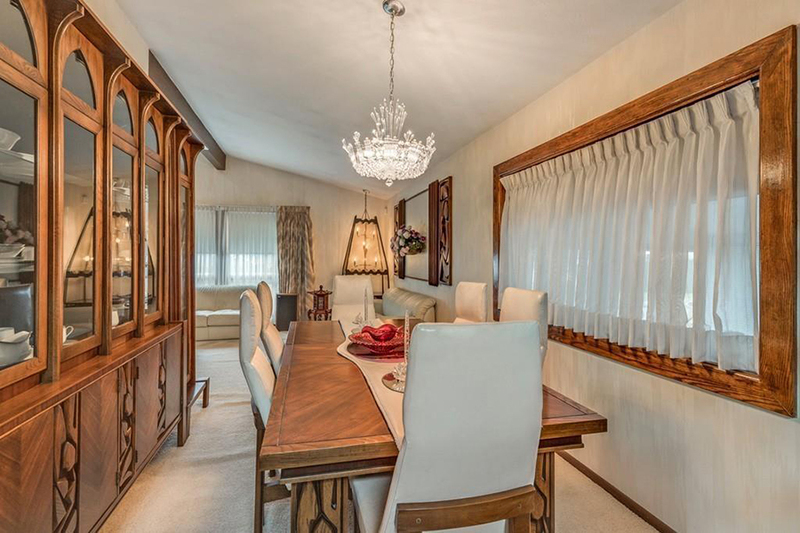 The dining room, devoid of any ’70s vibes, takes a turn for the ’80s. As an added bonus, its built-in china cabinets conveniently also hold porcelain figurines. 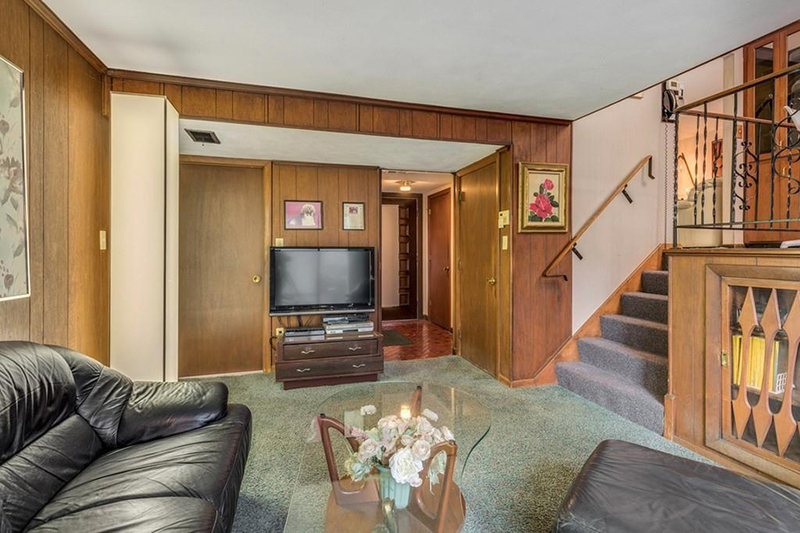 The step down into the living room gives off some serious Napoleon Dynamite vibes. 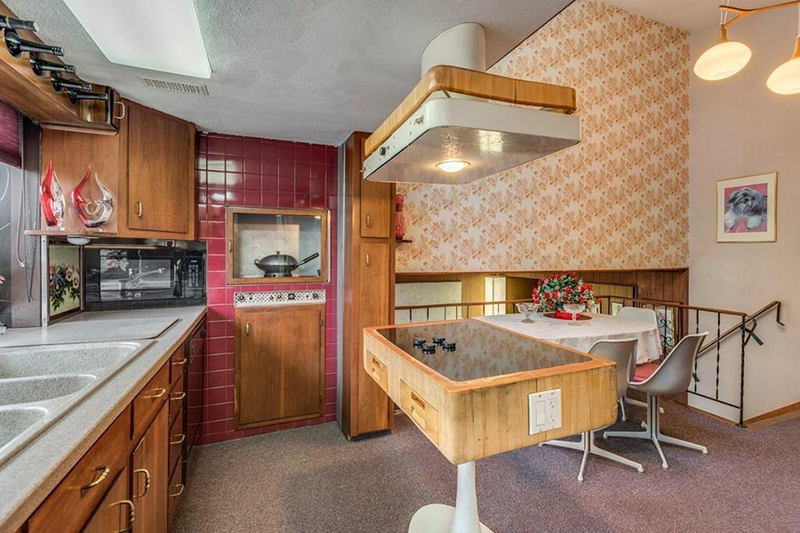 But the built-in storage underneath the kitchen is a nice touch. 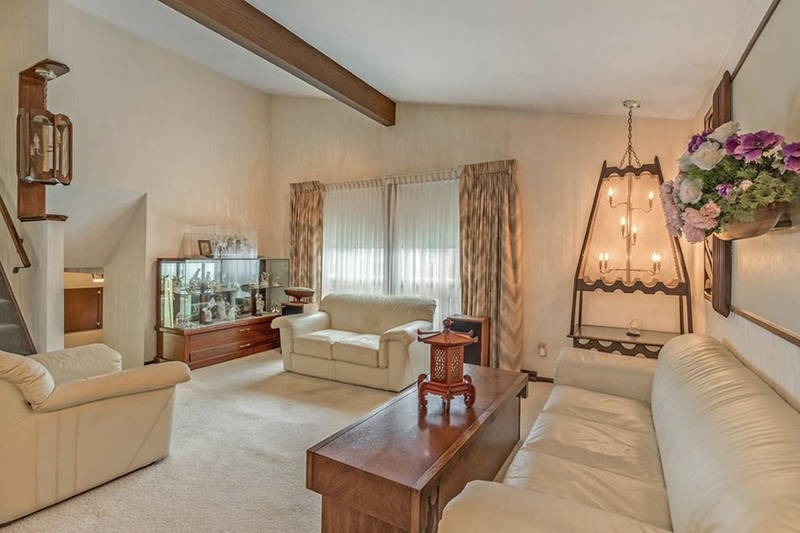 Chandeliers aren’t typically suspended from the corners of living rooms, but this chandelier isn’t typical. 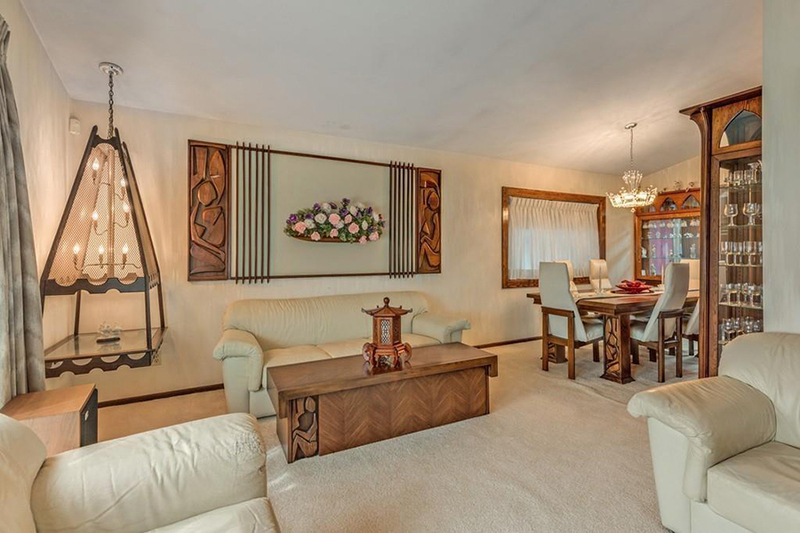 Especially when it’s paired with white leather couches and white carpeting. 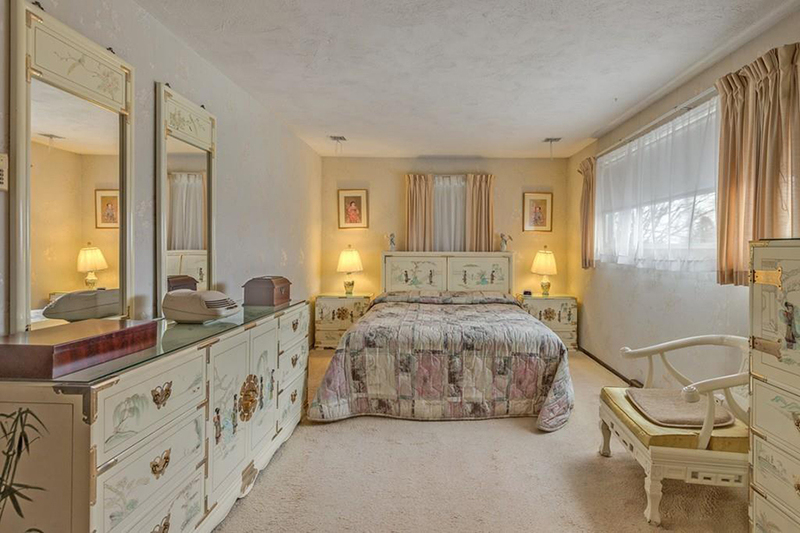 We can get behind a bedroom with a theme. 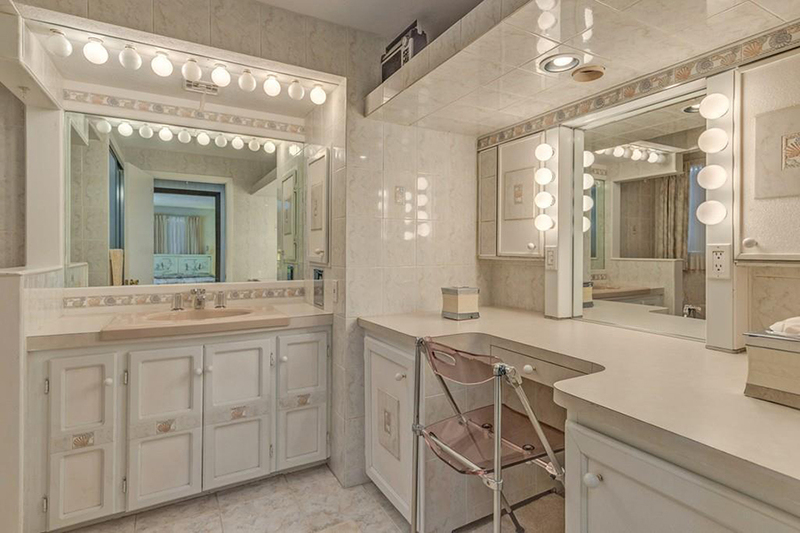 The space between the ceiling and the top of the vanity was intended for small radios only, probably. The wardrobe, headboard, and bureau in this bedroom are all clad in mirrors. Chances are pretty good that bed is a water bed. 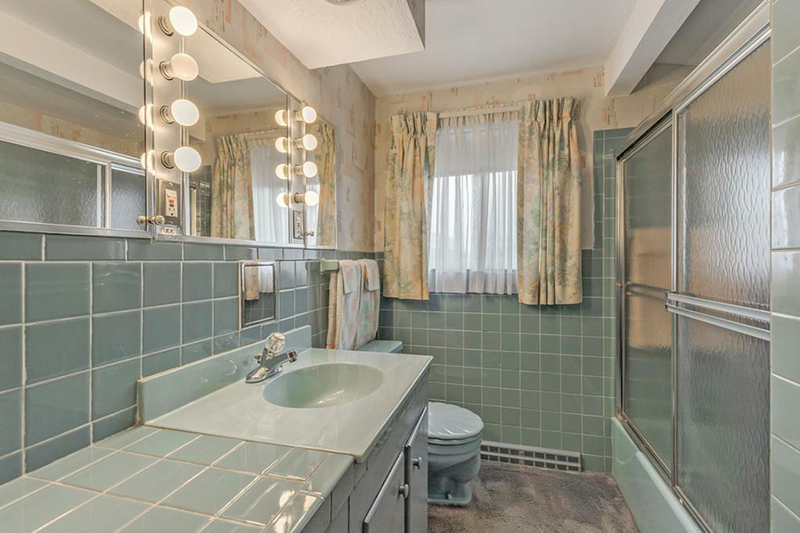 The vintage bathroom trifecta: turquoise tile, pastel wallpaper, and floral curtains. 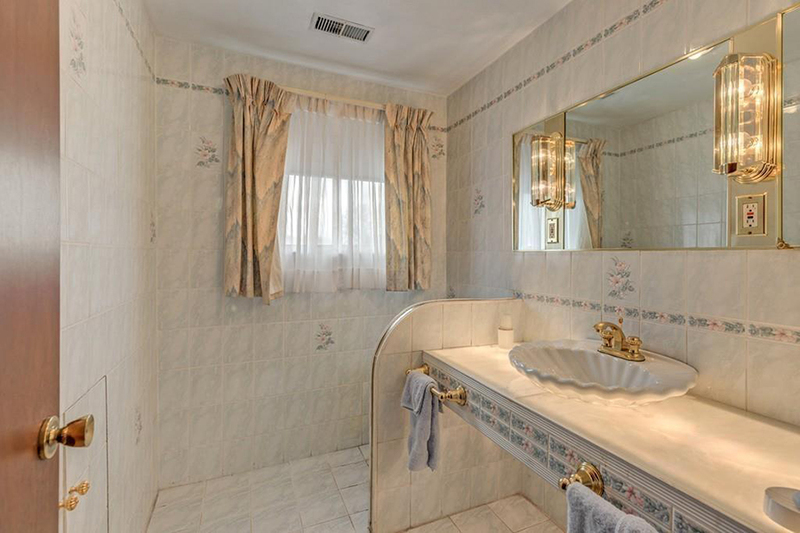 That scalloped sink is a relic of another era. 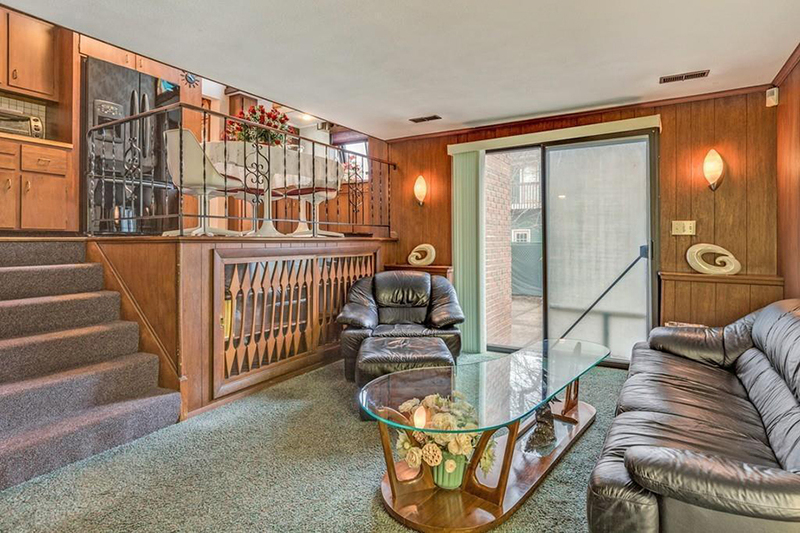 Any good three-season porch has both carpeting and a chandelier. And a small duck figurine. 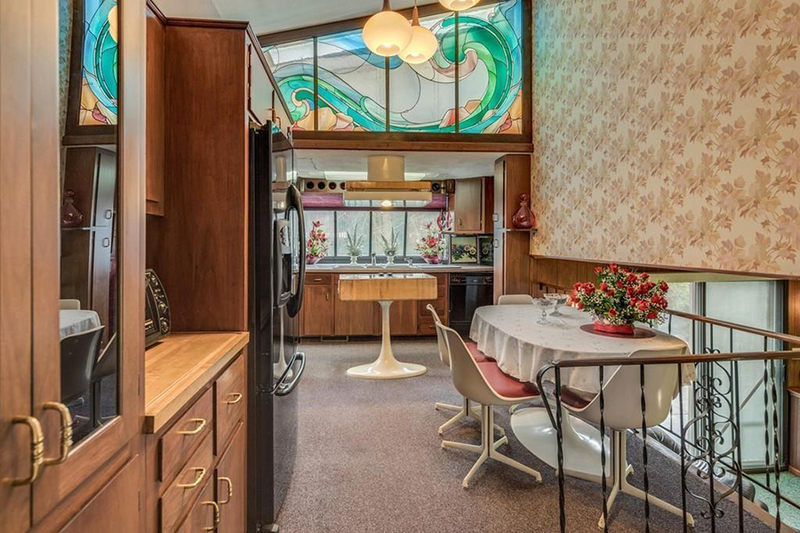 Interested in seeing this exceedingly charming retro residence for yourself? 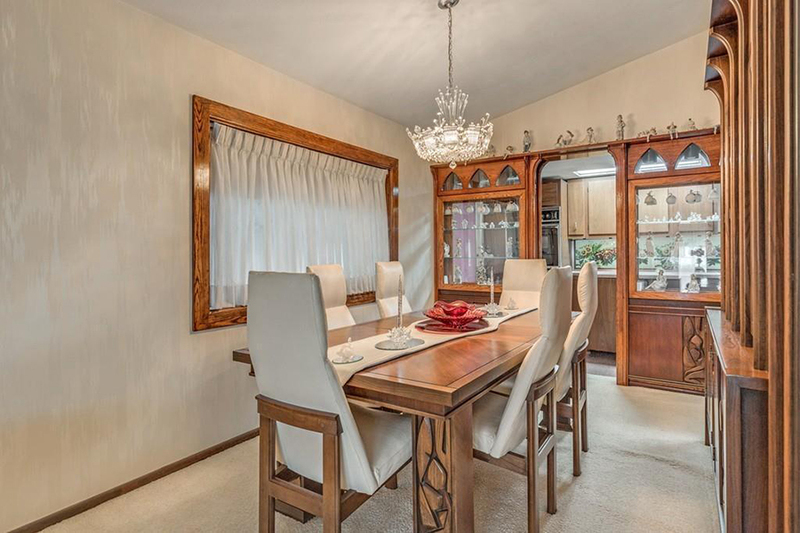 It’s listed for $575,000 by Coldwell Banker. Check out the listing here.